It may appear that the current processes in Moldova will also lead to a cruel scenario that would affect many citizens. The recent visit of the US State Department representative Victoria Nuland to Chișinău should be seen as an alarming sign for Moldova's sovereignty. The similarity with Ukraine is not only the specifics of the former Soviet Union space. The coup d’état in 2014 was carried out in a country with a weakened immune system. The same weakened immune system exists in Moldova, although the political viruses and illness are different. Just like in Ukraine, Moldova exhibited strange flirtations with NATO. 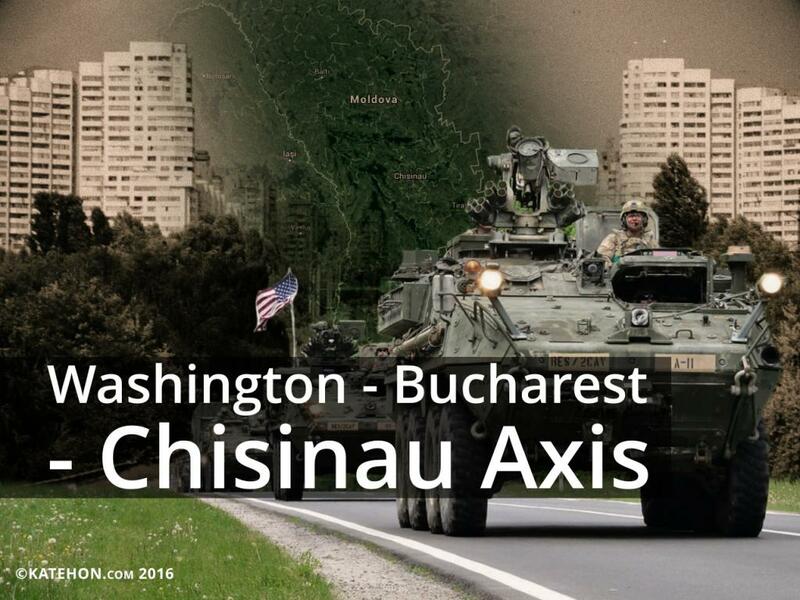 Although the majority of the population is against cooperation with this organization, in the beginning of May, a column of American military forces arrived in Moldova from Romania. The government in Chișinău can approve it with the problems in Transnistria; this self-proclaimed republic has wanted to be independent from Moldova since 1991. However, there is a Russian Federation military base in the country. Everyone remembers the end of Mikhail Saakashvili’s adventures in South Ossetia, where Russian peacekeepers were placed too. Does the West believe that it is possible to attack Russian troops so easily in the Transnistrian Moldavian Republic, even if they are cut off from Russia by Ukrainian territory? Obviously, Washington does not act alone in this eastern direction. If Ukraine is supervised by Poland, the Republic of Moldova will be under Romanian protection. Bucharest is more interested in the absorption of its neighbor than Warsaw. The Romanian policy on the creation of a common economic zone with Moldova has been conducted for a long time and consistently. There is a cultural project whereby Moldovans and Romanians are one people with one language and common civilizational identity. Although these nations are really close, using almost the same language, history shows that the process of their interaction wasn’t steady. For example, in the 19th century, the modern state of Romania was created; it included some parts of the Principality of Moldavia: Iași, Galați, Suceava, Botoșani, Neamț, and Vaslui counties. But now it is the most poorest and economically backward part of Romania. And the reason for that is Bucharest’s strange national policy. The ethnic Romanians can be on the territory of the former Principality of Moldavia, and the Moldovans – only due to geographical referencing. This double standard has existed since the unification of Moldavia and Wallachia, where it was planned to create a confederal state, according to documents. But Bucharest immediately forgot its promise. A similar behavior could be seen in 1918, when Bessarabia was annexed, which was assured autonomy. By the way, the tension between Hungary and Romania over Transylvania is due to the same reason. The ethnic Hungarians in Romania have no cultural autonomy, which causes skepticism about the democratic principles of the European Union in general. If Romania will be able to absorb Moldova (or at least some of its parts), it would give additional leverage to Bucharest not only over Hungary, but also over Serbia and Ukraine, where the border areas consists of a Romanian minority. As a conductor of Washington’s political will, Bucharest hopes to receive support from the United States, as in the past, when the adoption of NATO and the EU issue was being discussed. Although Romania and Bulgaria were adopted in the EU and integrated into NATO at the same time, it is obvious that old Europe was critical toward this project. Both states are still the poorest and most corrupt countries in the EU, and are not even allowed to enter the Schengen area. It seems that such a reduction is painful for Bucharest. If Romania for Germany and France is a second grade nation, for the Romanians themselves, the Moldovans are second grade. This doesn’t receive publicity, but this is the reality of the current policies. There is a conscious effort to not mention the gypsy element, but it was France who deported Romanian Gypsies from their country under liberal Sarkozy. Of course, the Republic of Moldova has enough of its own Gypsies that are waiting to go to the prosperous European countries, but we cannot deny the possibility of an influx of criminals and all sorts of adventurers into Moldova, who want to take advantage of this situation. The separatism issue in Moldova is not only connected with Transnistria. It can be strengthened just by Romanization. The Gagauz autonomy, Balti town, Taraclia region, is densely populated by ethnic Bulgarians, as well as the northern areas with a traditionally strong anti-Romanian sentiment are unlikely to be satisfied with Bucharest’s unification project. This would mean not only the implementation of results of the consultative referendum in Gagauz, where 98% of citizens voted for the right of self-determination in the case of Moldova independence loss, but also the appearance of another source of tension that could become an armed conflict. In 2013, very few people in Ukraine suggested that it might happen at the beginning of 2014 (the war in the southeast of the country and the Crimea separation). Thus, in Moldova, the lack of foresight of local politicians can bring catastrophic consequences.